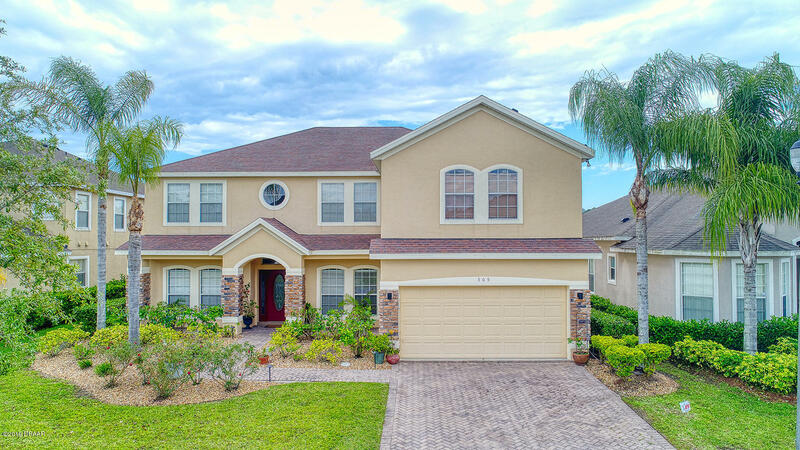 Lpga pool home with room for everyone! 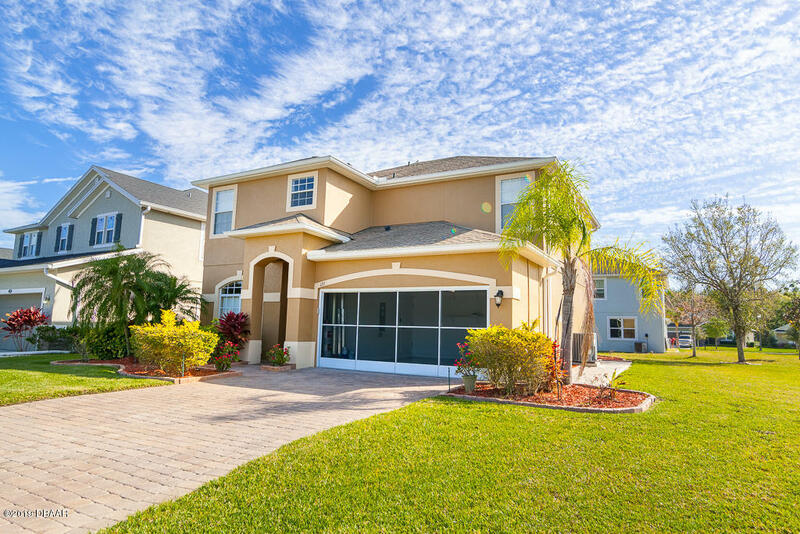 This 4 bedroom, 3 bath + bonus room features over 3400 living sf. Room count includes formal living room, dining room, family room, large kitchen with breakfast nook. Kitchen connects directly to family room and includes granite countertops, breakfast bar, stainless steel appliances and tons of cabinet and counterspace. 1 bedroom and full bath is located downstairs, other bedrooms are upstairs. 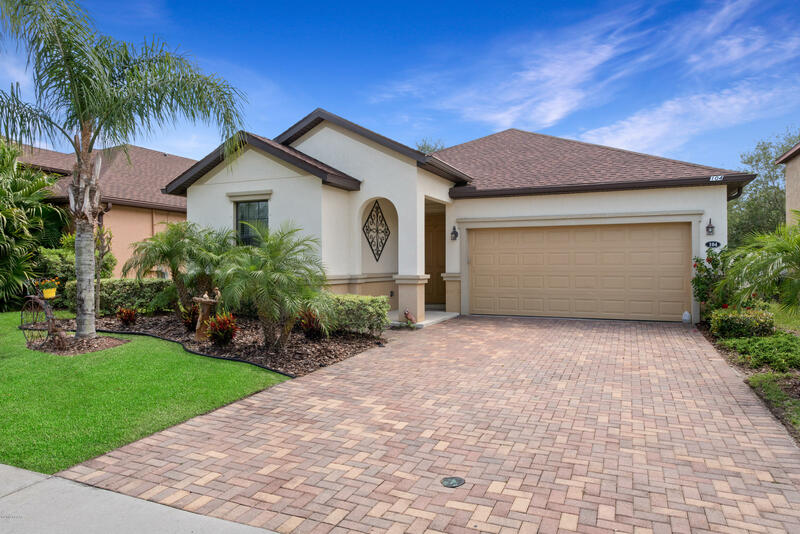 Outside enjoy your own private oasis with the screened covered lanai with inground swimming pool and golf course and lake views. Square footage received from tax rolls. All information recorded in the mls intended to be accurate but cannot be guaranteed. Lakefront beauty! As you enter this home you are in awe of the high ceilings and open, bright feel. Pass the foyer to the formal living \dining room combo. Continue to the main living area to the gorgeous kitchen with solid surface countertops, 42'' upper cabinets, stainless steel appliances and breakfast bar. Kitchen opens directly to breakfast nook as well as the family room for easy entertaining. Home has 4 bedrooms, 3. 5 baths. 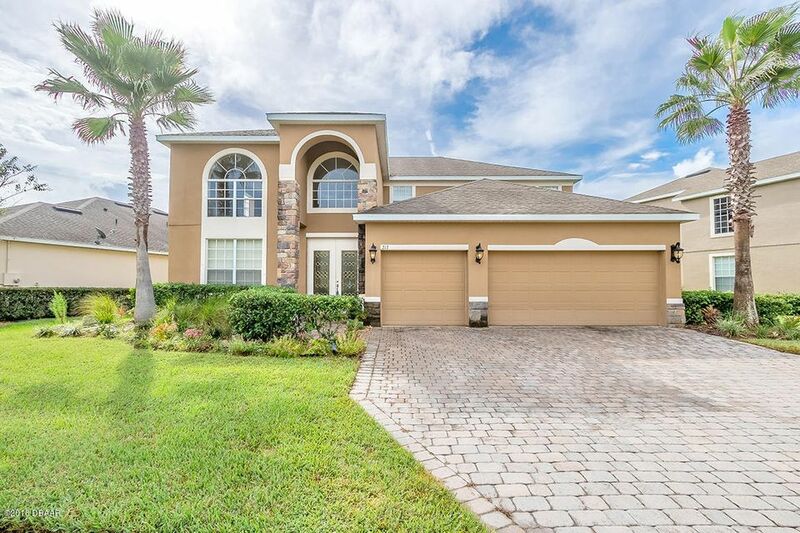 Huge master suite downstairs with his and her walk in closets and private master bath. 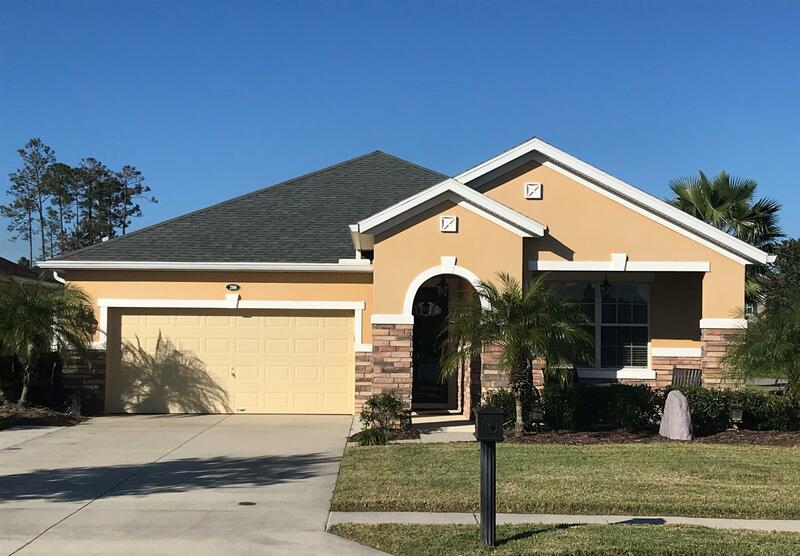 Take the double staircase upstairs and find a huge 26x18 bonus room perfect for movie night, 2nd master suite, 2 remaining bedrooms and the 3rd full bath. Outside enjoy a nice bbq or relax on your covered lanai and enjoy the long lake view. Located in lpga golf subdivision.